The Isabella stool, set to be launched this September at the London Design Festival, is the newest addition to Ryan Frank’s collection of free-range furniture. 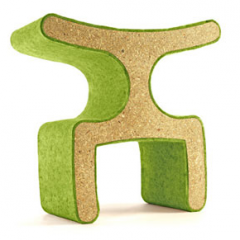 The eco-sensitive stool is a totem pole style stacking stool made from straw and wool. The stool draws inspiration from traditional hand carved African seating, but deviates from traditional materials, replacing the use of exotic hard woods with a solid section of Strawboard. 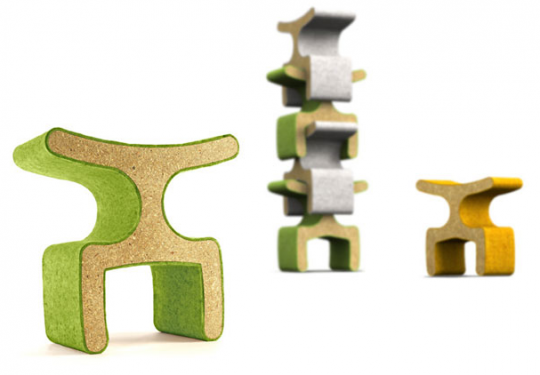 ‘Strawboard’ is a sustainable formaldehyde-free material made entirely from compressed straw. The straw profile is then wrapped in 100% felted wool, creating a more comfortable, tactile product with both integrity and depth. Further material additions to the range will include bamboo and natural rubber.